Jet Fire is a multi-metal string trick yo-yo, outfitted with YOYO.Y&apos;s V5 Catch Parts. 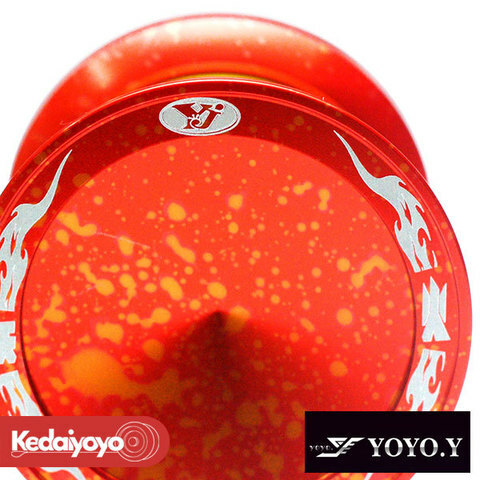 The V5 Catch Parts allow the response area to spin freely separately from the rest of the yo-yo body, nearly eliminating sleep loss when the string touches the spinning body. This also creates the ability to perform tricks that involve holding the spinning yo-yo in your hands, which many players have used to create a whole new genre of string tricks. Check out the video below for a closer look at how they work. 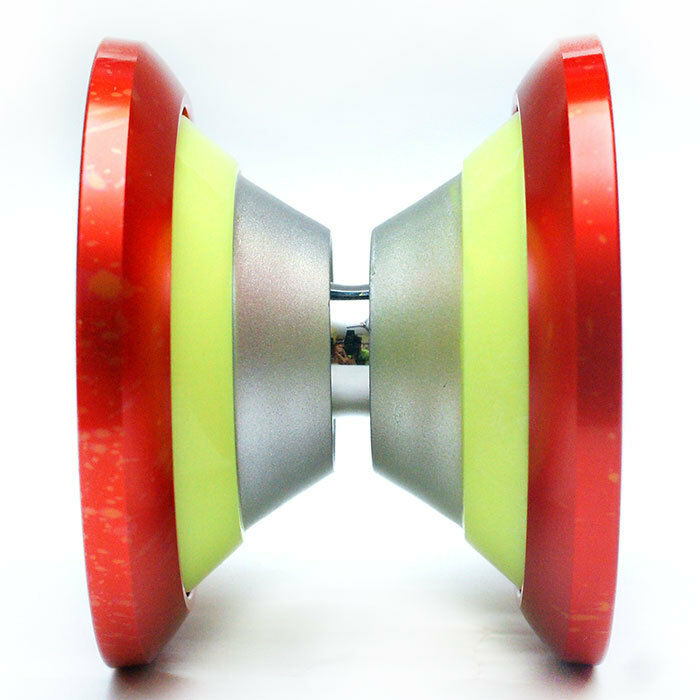 Thanks to this design, the Jet Fire has amazing sleep times, making it possible to hit insane combos, and decreasing the time spent catching and throwing the yo-yo, which makes your freestyle dense with tricks. It may take a little getting used to, but once you relax and get used to the feel of it, the Jet Fire will prove itself a worthy companion.